Strict gun control laws don’t even work during the Christmas season. From MyFoxChicago: Sun Times Media Wire – At least 23 people in Chicago were shot, one fatally, since the weekend began Friday evening. The murder occurred outside a club early Saturday in the West Englewood neighborhood on the South Side. A 32-year-old man was shot after walking out of a club about 4:35 a.m. in the 2000 block of West 63rd Street, according to Chicago police. Two bullets struck his abdomen and one hit his left leg. He was taken in critical condition to the University of Chicago Medical Center, where he was pronounced dead. The Cook County Medical Examiner’s Office did not immediately confirm the death. In nonfatal shootings, a teenage man was critically wounded during a drive-by shooting at night in the Gresham neighborhood on the South Side. Late Friday, gunfire seriously wounded a 26-year-old man outside of Percy L. Julian High School in the Washington Heights neighborhood on the South Side. Last weekend, a west suburban man was killed and 23 others were wounded in shootings throughout Chicago. 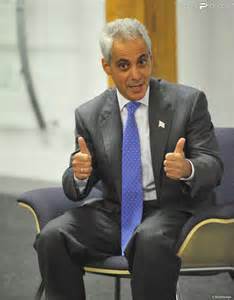 This entry was posted in Children, crime, gun control, Insanity, Liberals/Democrats/Left, Taxes, United States and tagged #2A, Chicago, Chicago Police, Chicago's gang violence, Chicago's gun violence, Rahm Emanuel. Bookmark the permalink. So why doesn’t this happen a few miles to the South? Only one dead out of 23??!? That’s almost miraculous – usually Chiraq has a roughly 10-15% of those shot, winding up dead. This is below 5%.